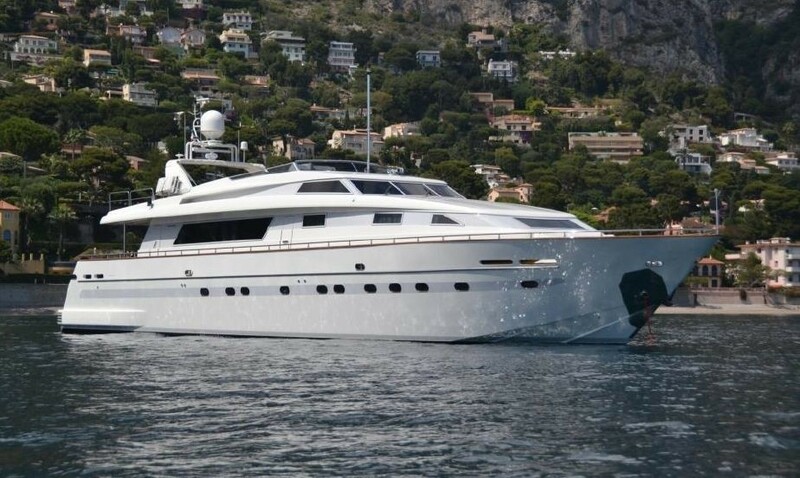 Luxury Motor Yacht SOLONA was built by San Lorenzo in 2002 and refitted in 2011, the yacht accommodates up to 9 guests in 4 cabins and is available for charter in the Western Mediterranean. 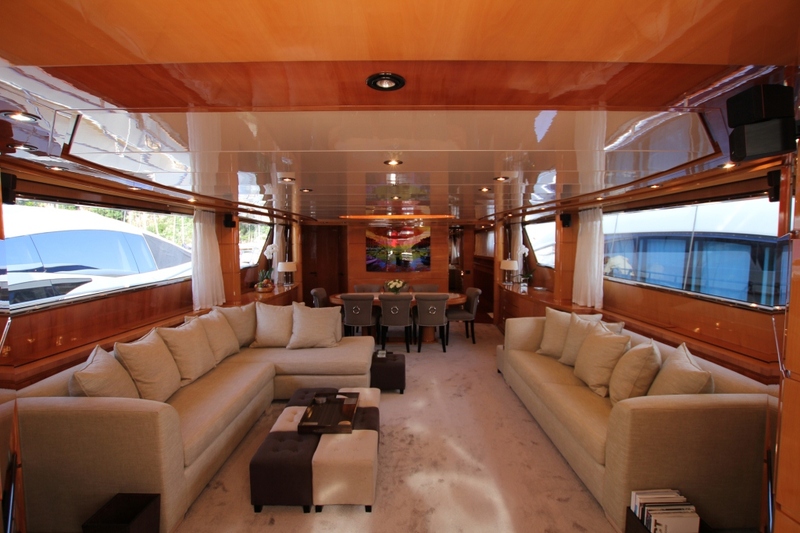 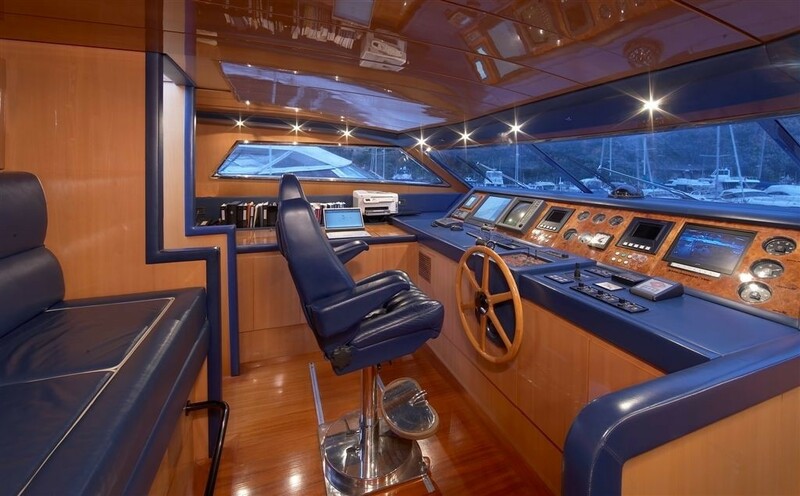 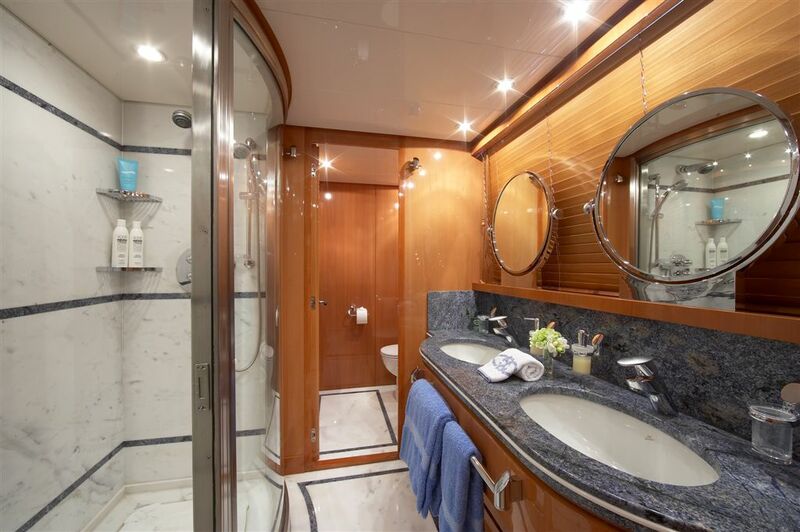 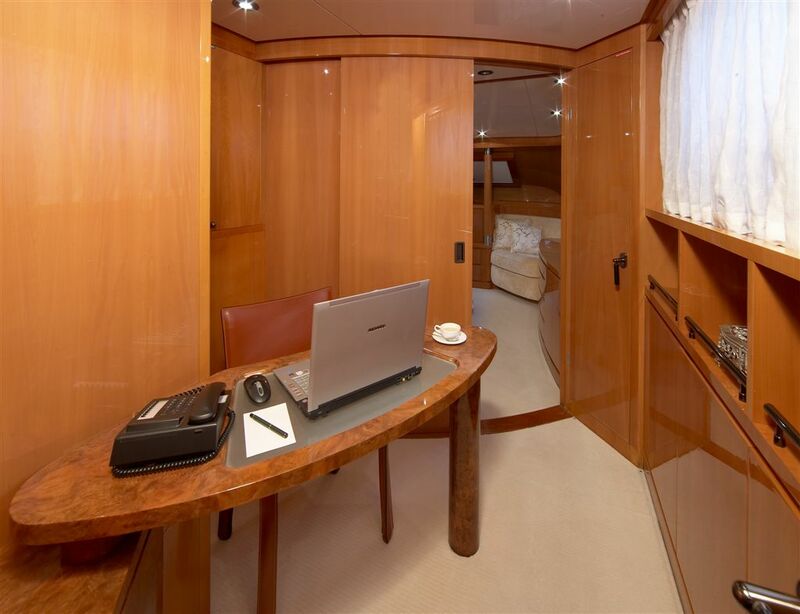 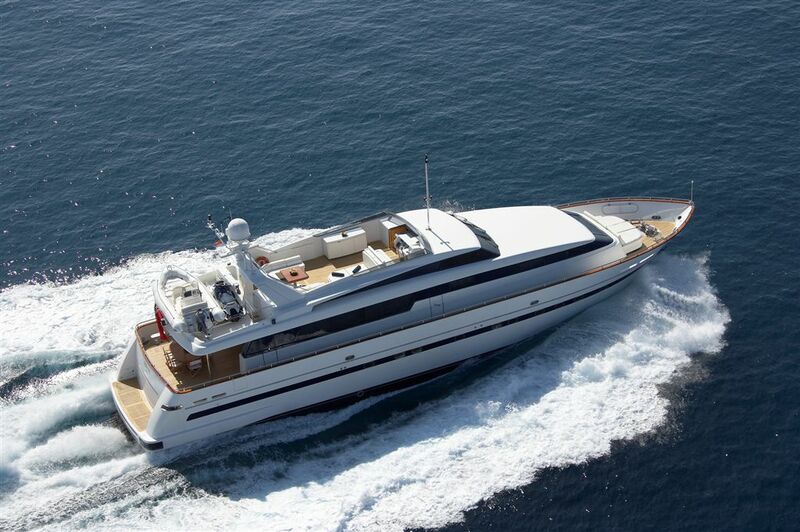 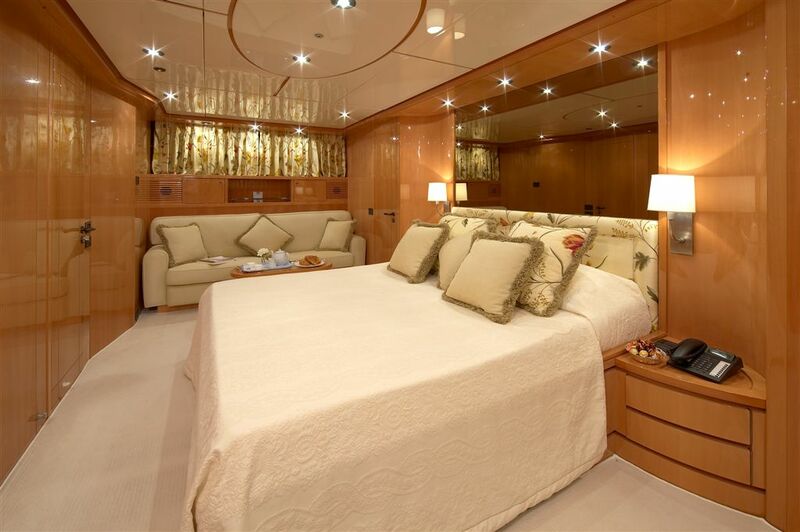 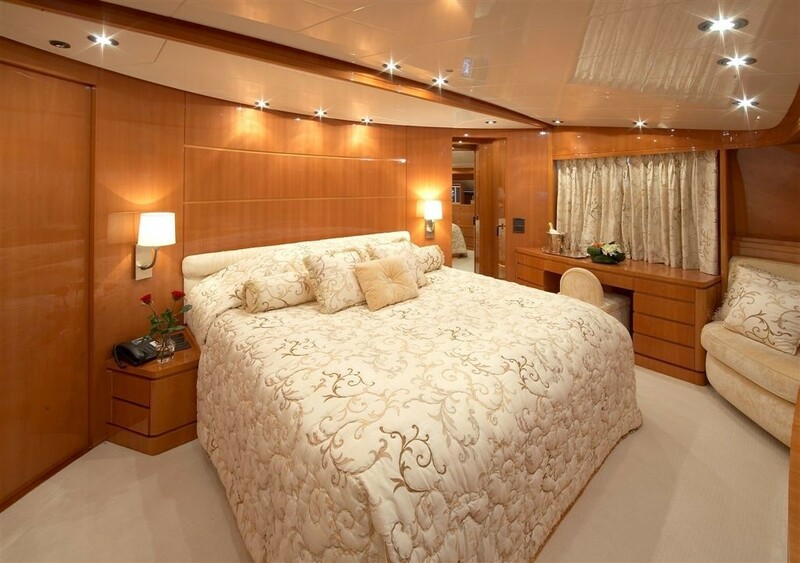 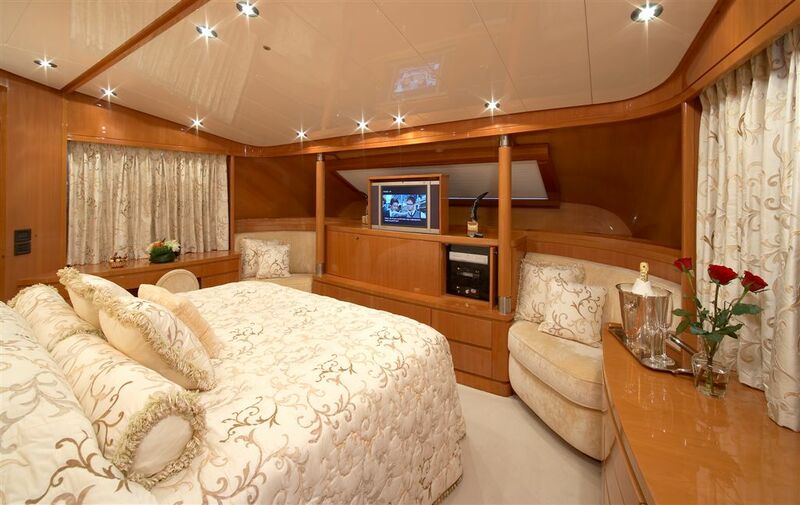 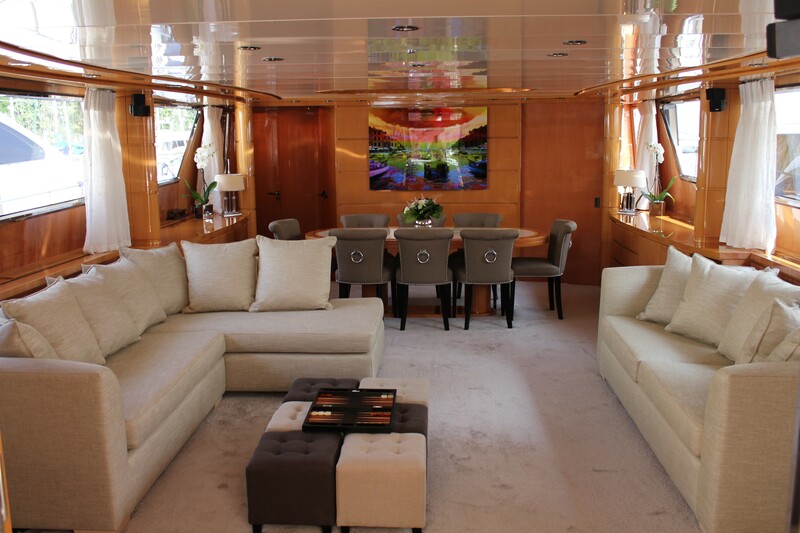 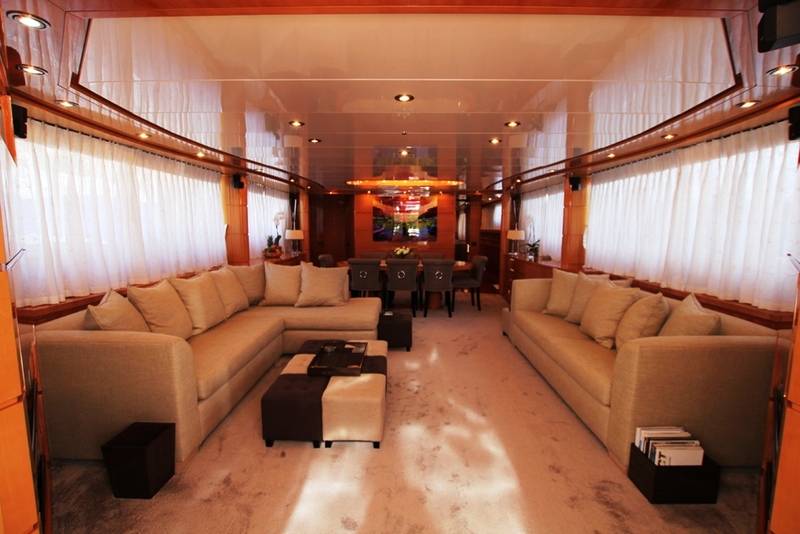 SOLONA is a clean and spacious yacht with light, cool colours and decor throughout. 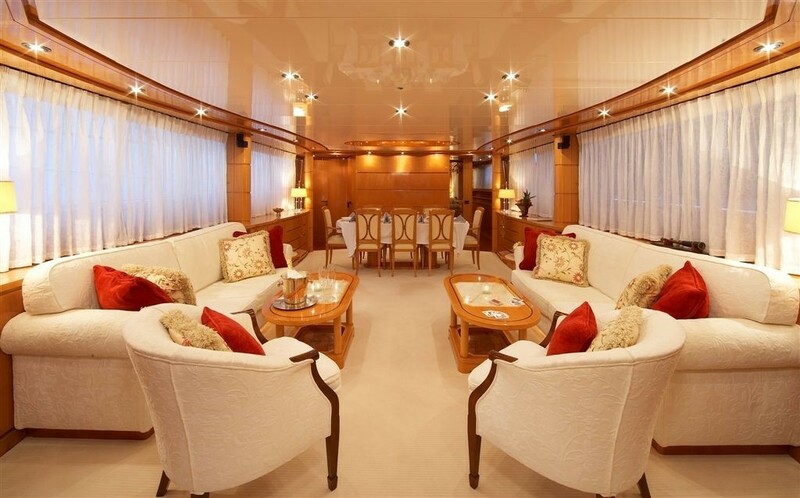 She has a functional layout with great spaces for dining and relaxation. 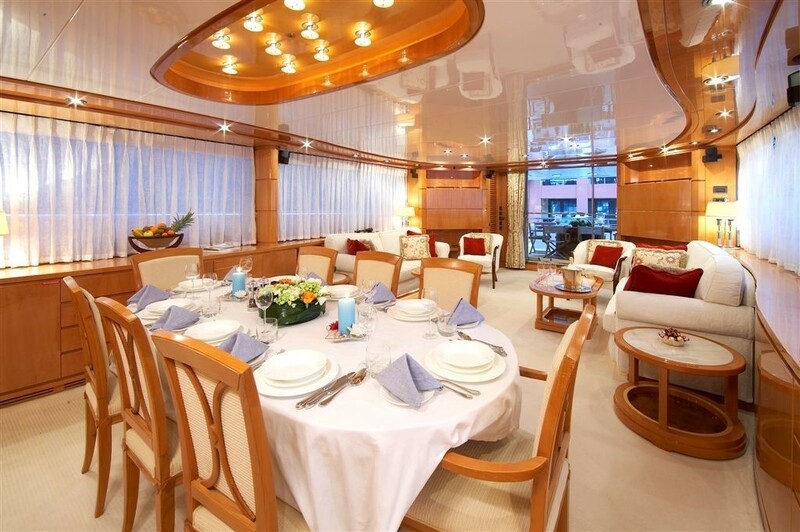 The salon and dining is set in an open plan, aft the salon features 2 large neutral toned sofas, light carpeting and high gloss warm woods, forward the formal dining space boasts a beautiful oval table with custom earthy coloured chairs, the entire space receives ample natural light through the panoramic windows, at night strategically placed recessed mood lighting gives an elegant feel. 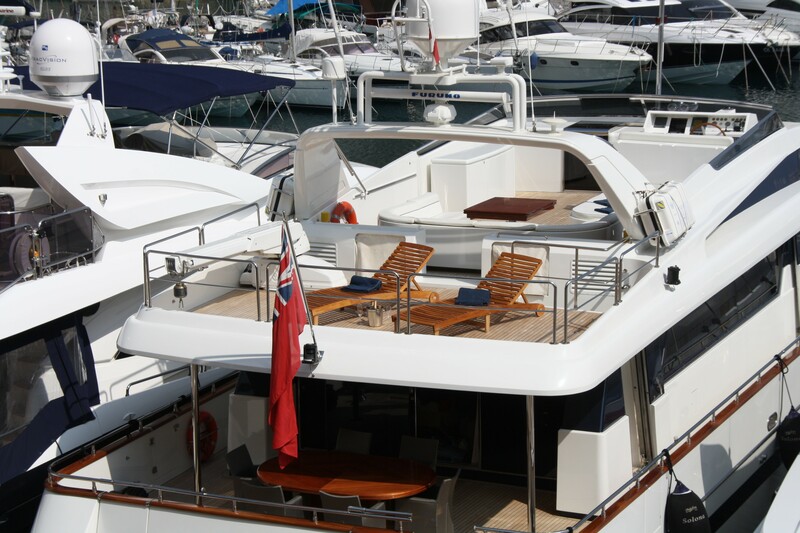 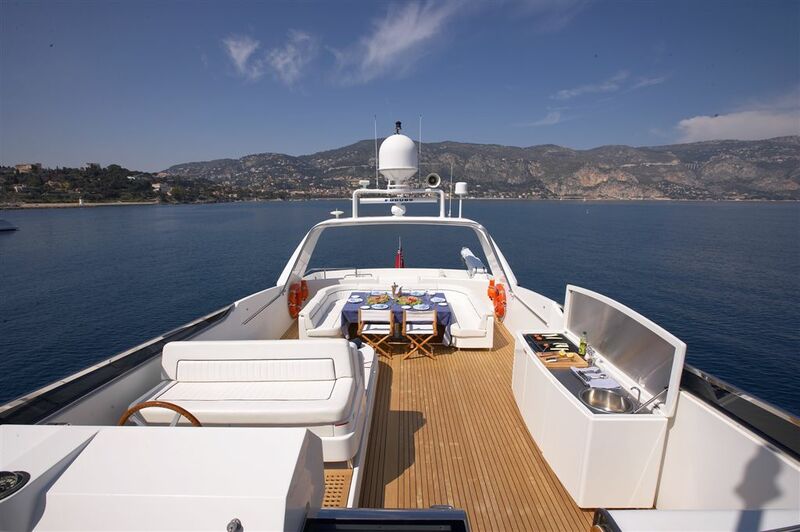 Motor yacht SOLONA offers guests wonderful deck spaces to enjoy, the aft deck is adjacent to the salon and features a shaded alfresco dining option on a large teak deck, also great for entertaining, aft of this, steps continue to an extended swim platform. 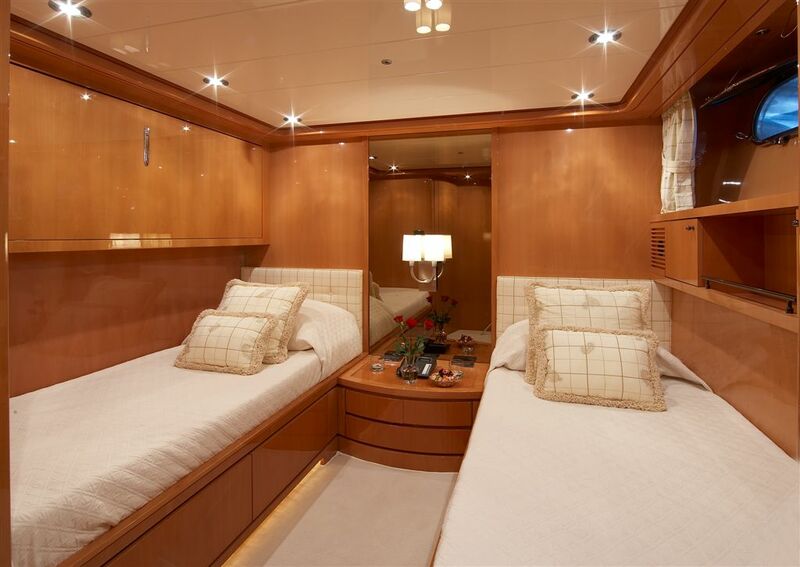 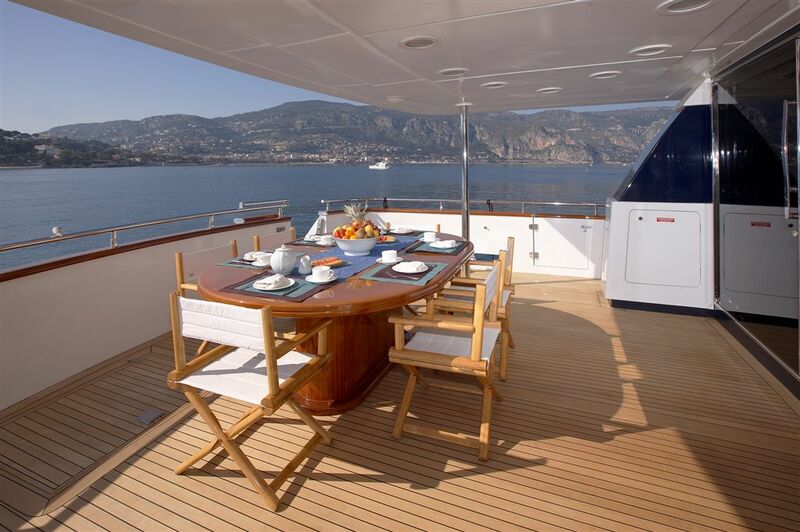 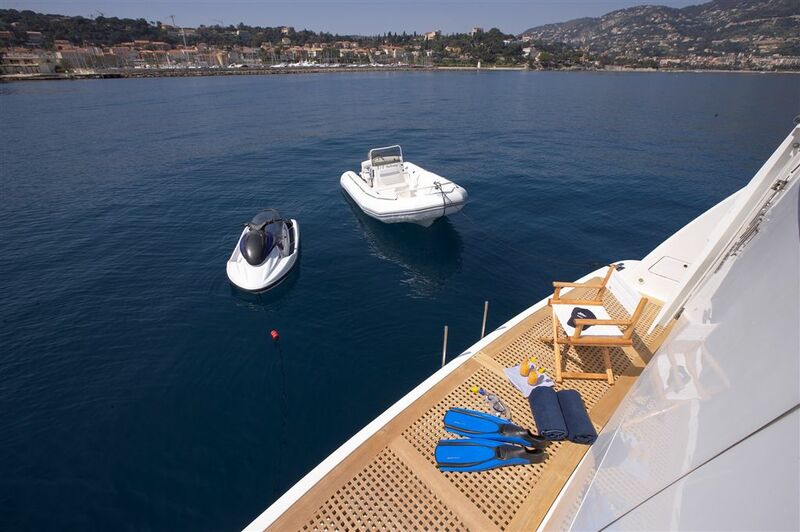 On the foredeck a more intimate seating space is perfect to escape and read sun or simply relax. 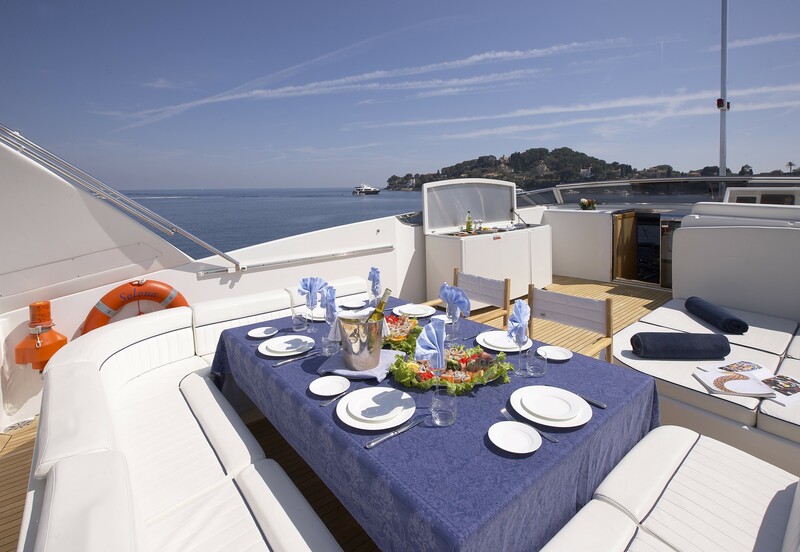 Above the main deck the sun deck is generous with a large sunpad, alfresco dining option, and BBQ / prep area. 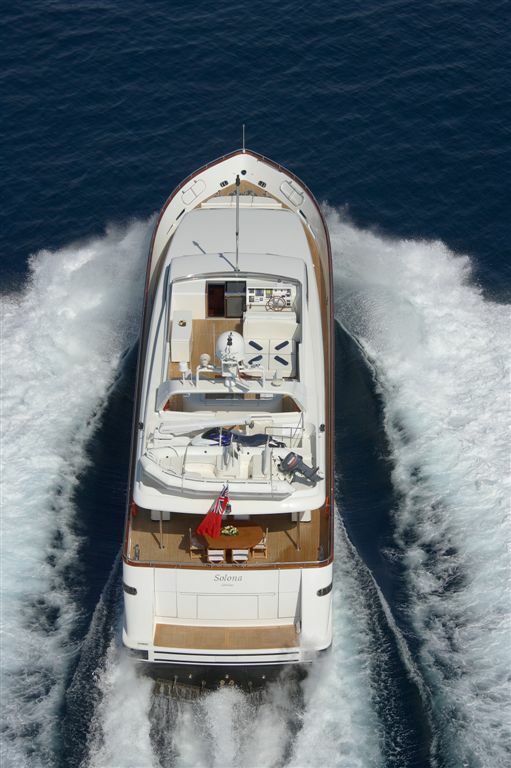 The M/Y SOLONA has a beam of 6.6 meters (21.7ft) and draft of 1.8 meters (5.9ft), the yacht cruises comfortably at 20 – 25 knots. 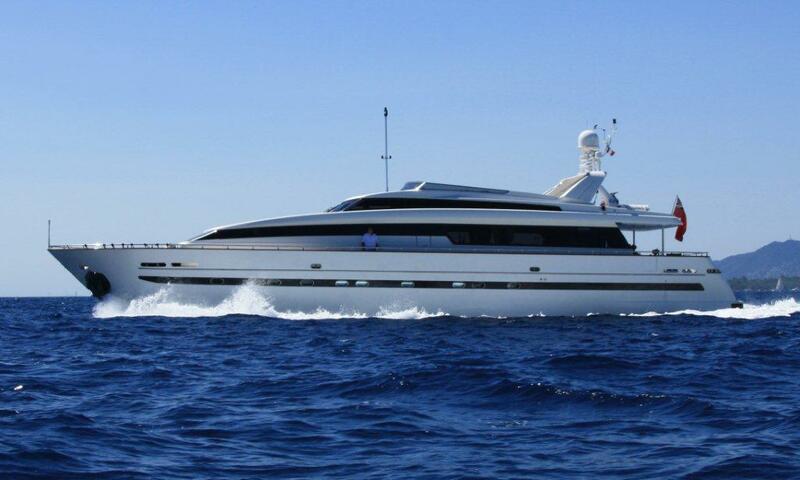 Luxury charter yacht SOLONA accommodates 9 guests in 4 inviting cabins, the master cabin is on the main deck and full beam of the yacht with a king size bed, additional seating and vanity plus a private study area, the VIP cabin is below deck and full beam of the yacht with a king size bed and sofa, a double cabin features a double bed and love seat while a twin cabin offers 2 single beds and Pullman bed. 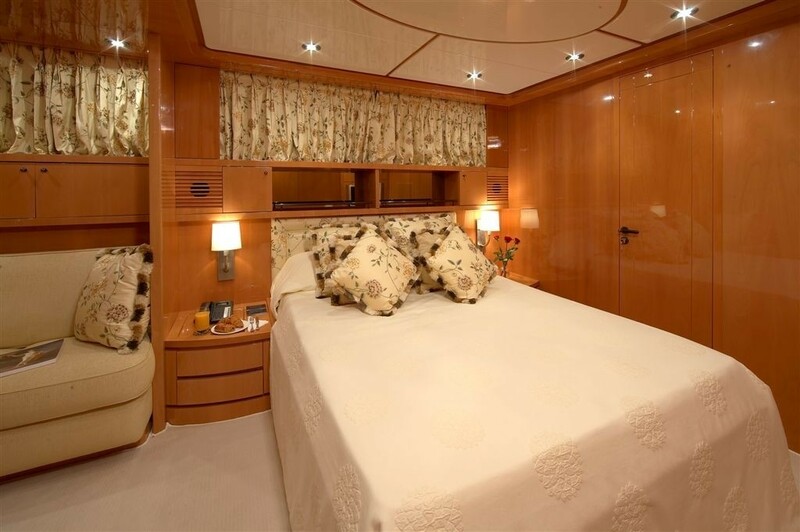 All cabins have en-suite facilities and are decorated in a soft neutral style.